Do you remember when you were a kid and a song would come on and your mom (or dad) had NEVER heard the song before and you would think, "My parents are so lame. They don't even know who __________ is." That was me today. Only, I wasn't the super hip kid. I was the super unhip parent. I'm not even sure if unhip is a word, but that was me today. I assumed I would embarrass my kids at some point in their lives, just for the simple fact I exist. Moms are so embarrassing. I also assumed that I would be somewhat up on the music--that I would KNOW what the kids are listening to these days. I was wrong. Today, my son had a play date with his BFF. As I was driving the BFF home, I told him it was his turn to pick a song. He said, "Thunder." Thunder???? I was clueless--no idea. I was thinking in my head, "Thunder Rolls? No, that can't be it." So I asked him who sang the song. He gave me this look like, "Duh!! How do you not know that???" He informed me that it was Imagine Dragons. I am slightly familiar with them as my son likes the song "Believer" and knows how to work Alexa and Amazon Music, so I have head this song enough to sing along to it. As my own song looked at me with the same, "Duh!" expression on his face, I knew it had happened. Your post made me laugh! So much truth- no matter how "hip" we think we are, we really are totally out of the loop, I think. And that last line is absolutely perfect! I hit the "mom jean" stage about ten years ago. I am 50 and I just realized I have become one of those people who used to listen to "oldies" when I was young. Only the "oldies" are the music of my youth. I am the oldy! 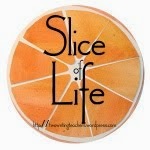 During the month of March, I am participating in the daily Slice of Life writing exercise over at Two Writing Teachers. Check it out!